Dana Hollenbeck is the Supervising eDiscovery Administrator for Klinedinst. Ms. Hollenbeck’s background as a traditional paralegal includes providing litigation and eDiscovery support, from inception through certification, in class action and complex matters involving Fortune 100 companies. Her knowledge of the lifecycle of cases in litigation, as well as her ability to rapidly identify and integrate each case’s unique eDiscovery needs, provides a tactical advantage for clients. 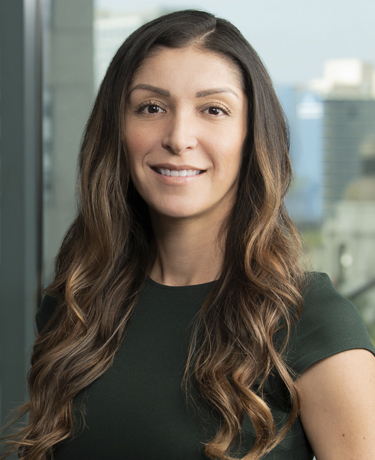 She is a current member of International Legal Technology Association (ILTA), Women in eDiscovery (WiE), San Diego ESI Forum, National Association of Legal Assistants (NALA), San Diego Paralegal Association (SDPA), and USD Paralegal Alumni Association. Ms. Hollenbeck graduated with a Bachelor of Art in Sociology and a Bachelor of Science in Criminal Justice Administration from San Diego State University. She also earned her paralegal certificate from the University of San Diego.